More than MAFS: where is Australia's 'presitge' television? Commiserations must be given to everyone at Channel Seven who slept on a Danish import about strangers being forced into marriage. Married at First Sight has been a befuddling success for an otherwise flailing Channel Nine, consistently destroying Seven’s My Kitchen Rules. MAFS debuted in 2015 as a risk to the network. Farmer Wants a Wife had been a decaying success. They needed a new flagship reality dating show, one even more ethically compromising, to claw this audience back. Nine’s then head of programming, Andrew Backwell, birthed the show at a time when “sanctity of marriage” had become the catch-cry of conservative parliamentarians in the marriage equality debate. “I think it’s going to create some noise and controversy … it’s a good thing for us to have people talking about the show,” Backwell told the press, later twirling his moustache and stroking a white cat. It was a complicated year for Backwell. Most won’t remember the “reality wars” of 2015 — a year in which Seven and Nine brutalised each other with accusations of copycat programming, leading to viewer backlash. Viewers of Seven’s House Rules were furious that they couldn’t watch Nine’s Reno Rumble, because they played in the same primetime spot. The Nine Network openly admitted they designed Reno Rumbles to “hurt” House Rules. Seven then took Nine to court, claiming The Hotplate was a My Kitchen Rules knock-off. They then realised they were splitting their audiences, risking advertising dollars. Seven and Nine are not enemies. Our main challenge is to stop the audience fragmentation. We should make free-to-air TV the best product possible so we stop viewers drifting to pay TV, online and to the streaming services. In the nose-diving industry of free-to-air, one which saw the 18-35 demographic crash to nearly 10% in 2016, the channels have been singular in their push for the content we crave: people yelling at each other. But their fragile treaty has come to nothing, with their two most successful programs (which don’t involve the footy) currently pitted against each other for the 7.30pm slot. Lately I’ve been slumming it as a freelancer, which means I’ve been spending a lot of time at my parents’ place stealing stress cheese from their luxurious boomer kitchen and watching free-to-air television. Needless to say, this is the most depressed I have ever been. Even at my worst moments I’ve rarely bent to free-to-air, instead sticking to the high art of Frasier repeats on Stan. I am part of the aforementioned 18-35 demographic, watching TV through my laptop and phone. I have Netflix, Stan, Amazon Prime and an ex’s password to access Foxtel Now’s Game of Thrones collection. There is great satisfaction for me in pushing a button and getting what I want. There is, of course, satisfaction too in the quality of television at my disposal. In the last week I’ve watched Netflix’s Russian Doll, Amazon Prime’s The Marvelous Mrs. Maisel, Black Monday on Stan and the first two seasons of Game of Thrones (again). Did I mention that I’m “freelancing”? Binge-watching has become my hobby in the same way reading once was. I understood at a very young age what a series arc was, and the value of sticking through. More and more, I find watching the “idiot box” intellectually nourishing. Recently, however, while depressing all over my parents couch, I have discovered that I cannot watch any two hours of Australian commercial television without some sort of grey liquid leaking out of my ears. This is not for the advertisements. Nor is it even the presence of Kerri-Anne Kennerley, who I have failed so far to identify amidst the infestation of blondes. It’s simply because it’s so unbelievably boring. There is a notion that we live in an era of “prestige” television; a number of countries and networks around the world are investing in television considered worthy of being called art. Of course, the title “prestige” comes burdened with classist moralisms — how can we define Phoebe Waller-Bridge’s remarkable Killing Eve as prestige, for example, and not Ru Paul’s Drag Race, which has, in my opinion, created hero/villain arcs of equal complexity and style? Arguably the defining characteristic of prestige TV is not even in its artistry, but in its budget. Game of Thrones, for example, may have struggled to make the same season one impact without the backing of HBO, a cable network designed specifically to sell to consumers premium entertainment for an equally premium price. The dragons, at least, wouldn’t have been quite as convincing with Scorpion King-level CGI. HBO supplied us with the godfather of prestige TV: The Sopranos, a series credited with elevating the medium through its performances. The New Yorker’s Emily Nussbaum wrote “it is rare for one performance to change the world, but once [James] Gandolfini cleared the way, nobody could be under any illusion about what a television actor was capable of”. Hiring a great film actor, or creating a charismatic dragon baby is expensive. At its peak, The Sopranos cost an estimated $6.5 million per episode, and Game of Thrones will cost $15 million per episode in its final season. After The Sopranos, the audience demand for cinematic scope on TV extended beyond HBO, lifting the standards of American television and pushing a new business model — HBO provided substantial evidence that people wanted cinematic TV, and they were willing to pay for it. “Prestige” has generally been granted for series with known actors, stylised cinematography, tight scripts and Hollywood accolades — all of which come with a hefty pricetag. But big movie stars and cinematic scope has, in recent years, become almost an afterthought. 4K has become an industry standard, and Oscar-winning films sit next to Queer Eye on Netflix’s “trending now” list. The cinema/television hierarchy is all but flattened, and our new extremely communist television landscape is embracing concepts that would likely have been thrown out in pilot season. Not only is there a liberation of content, there is more diversity and more shows about time-travelling war nurses who fall in love with shirtless Scotsmen than I would have ever predicted. The popularity and reverence surrounding programs like Russian Doll and Tidying Up with Marie Kondo prove that audiences are now valuing more than just cinematography and dragons. We lately grant “prestige”, above all else, to innovation. It is arguable that the purpose of the Australian television landscape is to crush innovation, and also our dreams. Or, at least, I’m arguing that. 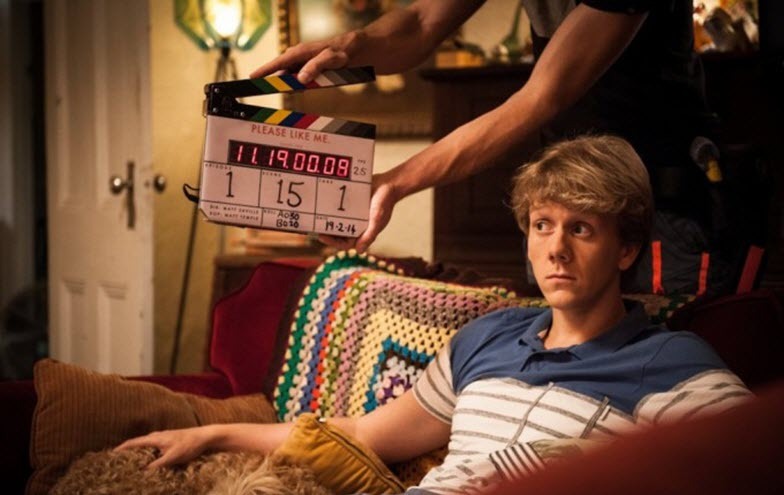 I’ll concede that in amongst the laborious doctor dramas there are the occasional standouts; ABC’s Please Like Me, SBS’ The Family Law and the early 2000s tween drama The Saddle Club, to name a few. Much of the industry, however, is coloured by repetition. We can see this in Married at First Sight: a show that signals only an innovation in the acuity of Satan himself. In spite of the articles celebrating its success, the series’ audience numbers have remained stagnant. MAFS might seem controversial or even groundbreaking if you believe the media hype, but it remains almost structurally identical to Farmer Wants a Wife and ultimately reliant on the consternation of the public to keep afloat. There is little promise from commercial networks — outside SBS — that they will elevate their standards, or even that they will lift their game beyond that of their neighbours to create something new. They instead churn out panel shows, The Block marathons, and sacrificial offerings of The Big Bang Theory. Incidentally, SBS was the only channel to experience audience growth last year. Well, other than the Seven network, whose minor gains can be attributed to the footy. Channel Ten, a more ambitious commercial station, held a national referendum last year over new content. They landed themselves with two “brand new” flagship shows : a re-imagining of Judge Judy with an annoying white man at its helm, and Rove Live but, like, called something else. It was the illusion of innovation — a presentation of something they knew already worked, repackaged. Ten has also recently released a new paid streaming service, 10 All Access, which offers audiences access to great new local content like MacGyver, The Twilight Zone and The Love Boat. More than half of the library is made before 2010, and most of it bought from other countries. There is a small promise of new local content in its future, but it’s a classic case of putting the cart before the horse, expecting audiences to invest before there is anything substantial to invest in. Unless they really, really love Becker. The ABC and SBS have become a kind of oasis in a television landscape dry of opportunities for anyone who isn’t Kyle Sandilands looking to make a footy-themed panel show. And yet the government has gone out of its way to leech money from these networks, demonstrating to the public that, much like their commercial brethren, they do not place any value in new Australian art. So, where then is Australia’s prestige TV? Prestige is given to what we value. As individuals we might value the quality of television that Netflix and its ilk has bestowed upon us. As individuals we might even value original Australian content like Stan’s Bloom or Ten’s Sisters. But as a society, we are being told that our homegrown television is not worthy of investment and that innovation is death. The value of most Australian TV is still stuck in the numbers it can get on a Tuesday night at 7.30pm. It’s a commercial model that is dying, but our major media outlets are steadfast in their desire to suckle at its throat until it’s dry. And if the networks work together, they might be able to Weekend at Bernie’s this corpse for a little while yet. This is an edited version of a story that first appeared on Medium. The "Australian Screens, Australian Stories" campaign aims to fight for local TV programming across free-to-air and digital channels as the government drafts new legislation. Dr Vincent O'Donnell reports. Each commercial broadcaster will offer three unique channels by the end of 2010. So what can we expect? Dan Barrett wraps the rumours and speculation. The "Channel 9 Clan" ... Commercial radio revenue: Show me the money ... Seven to use Kath & Kim as a battering ram against Idol and 60 Minutes ... Last night's TV ratings. First can I suggest you preface your days with a vigorous bike/run/swim? No day that included a good ride is wholly wasted (read depressing). You cannot be depressed when you’re at your aerobic limit. (Try it, I challenge you). That bit said, thanks for an article that broke some new ground analysing the current media terrain. Movies have stopped being 2 hour entertainments and become franchises that re-hash, to the point that mental botulism is a sure thing. That leaves the role of innovator to production models that grew out of TV; Netflix, HBO, SBS, ABC… But here the narrative arc of the movie (picture a bridge) has become the trans-oceanic passage, Hong Kong to Macau of the series. The time cost has risen, and with very few exceptions the payoff has dropped. What you call “prestige” I think is what Zen in the Art of Motorcycle Maintenance calls “quality”. And as Pirsig discovers, it’s elusive. For me on Netflix only Sense8 has sustained it. The show has a coherent philosophic position (tolerance and diversity). The characters themselves explain that movies inspire them to be smarter, stronger, funnier. And the SF premise, 8 people who swap into each others lives, provides a composite protagonist that always has the answer. It has now been wrapped up (reasonably satisfactorily), and I look forward to dipping into Russian Doll. Had a few days sick last year and binges my way through sense8. Loved it, interesting and novel idea well explored, and with an ending, thank God. Dear Kara, thanks for such a refreshing piece about TV that doesn’t bang on about ratings. Hope to read more of your work on Crikey. Same as the others, appreciated this Kara. I was still in the 18-35 bracket, over 20 years ago, when I began puking whenever watching free tv. Love SBS though, the only network coming close to interesting viewing plus the best news network. It got worse before options started appearing.